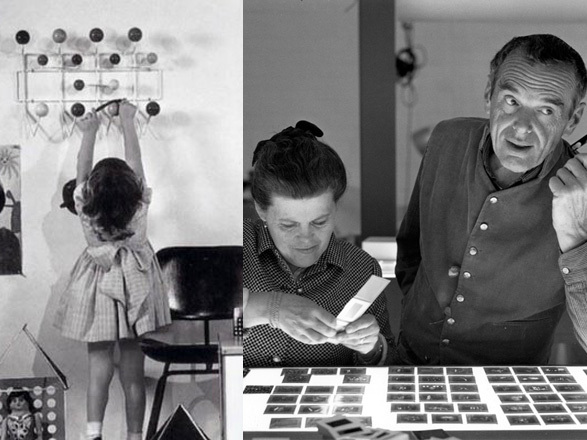 The Eames Hang It All has come a long way since its humble beginnings in 1953. While it was originally designed to encourage children to hang up their belongings, it has become not only an object coveted by both children and adults alike, but an icon representative of the whole of the mid-century modern era. Although Charles and Ray did not have any children together, the duo began designing colourful products for children from the early 1940s. 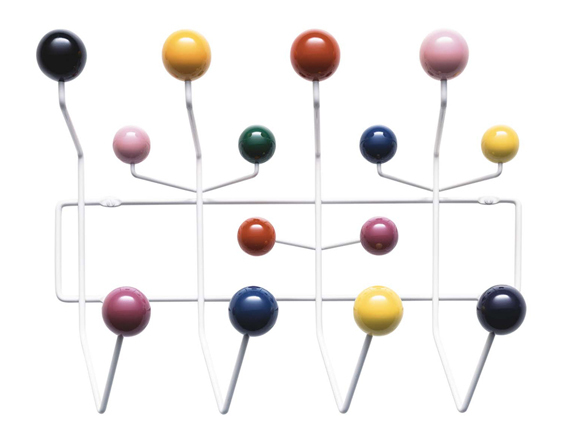 Their designs included building blocks, children's masks, the Eames Elephant, and later, the Hang It All - a welded steel coat rack topped with 14 multi-coloured balls. Their playful children's designs were carried out with utter seriousness and given the same careful design consideration as the couple's furniture designs. In fact, the Hang It All (especially its welded steel frame) is viewed by some as the prototype for their famous wire-based chairs of the late 1940s and early 1950s. 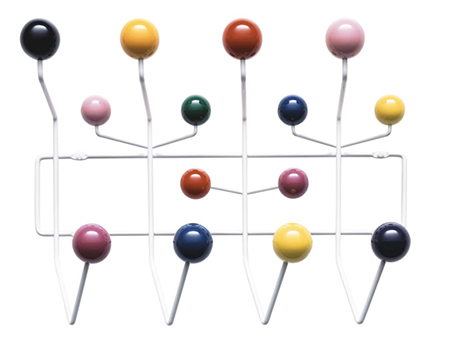 Through the years the coat rack has undergone some bold transformations. 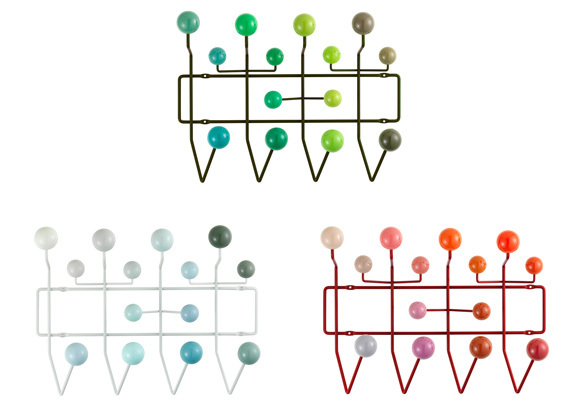 In 2011, the Hang It All was released in three limited edition finishes: a red metal version with spruce balls, a black version with walnut balls and a black version with black beech balls. Whilst marking a step away from the Eames's colourful and playful original, the new sophisticated finishes appealed to a fresh audience, and was a huge success. Most recently, the Hang It All has been reinvented by Vitra, with the help of Hella Jongerius and her Colour and Suface Library, and released in three fresh colourways. The new colours were designed in celebration for what would have been Ray's 100th birthday (15th December 2012) and were finally launched four months later at the Milan Furniture Fair in 2013. The new designs come in three distinctive colour palettes - red (red frame with red, orange and peach balls), green (green frame with sage, seafoam and apple-green balls) and white (white frame with white, grey and blue balls) and give a new perspective to this modern classic. The new colours are available from July, but you can pre-order yours now and be one of the first to own this piece of design history.